Home Gear & Ammo Accessories Concealed Carry Sights: Which Are Best For Your Gun? White outline sights offer good visibility even in very low light because they are a bold white shape that catches the eye. Nothing goes further to ensure you hit center mass than the right sights on your concealed carry handgun. But of all the options, which is the best? I was in a local gun shop recently when the discussion turned to the viability of lasers for concealed carry guns. One proponent of the laser explained they were the greatest things since sliced bread, something that could allow any novice to shoot like a professional. The other saw them as the work of the devil, a high-tech contraption that would likely fail at the moment the owner needed it most, leaving the victim standing and staring at a gun that was useless without a laser because it was the only way he could hit a target. 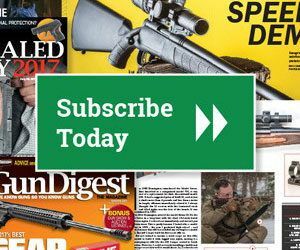 Gun Digest Guide To Concealed Carry Handguns, a comprehensive and up-to-date buyer’s guide to concealed carry handguns available anywhere. As both a shooting instructor who teaches concealed carry certification and a gun writer, I suffer from a form of double indemnity. For some reason, I seem to get into the center of arguments about what constitutes the best options for concealed carry, and these days this is a hot topic. Besides the normal semi-auto versus revolver and high-capacity versus smaller, thinner gun issues, the discussion often turns to sights. After all, the sights are hopefully the only interface between the defender and the assailant. Before we get too far into the sight issue though, remember that the average distance for a firearm defense occurrence is less than three yards. It should also be remembered that a full extension of the arms to get a proper sight picture at short distance often puts the gun as close to the assailant as it is to the defender. In really close quarters, extending the arms to get a proper sight picture increases the defender’s level of danger because it can put the gun in easy reach of the attacker. In these situations, conventional sights have no value at all, since they can’t be safely aligned with the eye. While this obviously leads to thoughts of lasers, lasers shouldn’t be the only viable option available to the concealed carry defender, because lasers are not as effective in bright light conditions. It’s true that 70 percent of defensive situations occur in low light, and green lasers are much more effective in bright light, but conventional sights on a defensive gun shouldn’t be discounted. Even if your gun has a laser, you should do most of your practice with the iron sights. Lasers are electronic devices, as is the computer I’m writing this on. If your computer never gives you problems, you’ll probably never have a problem with a laser sight because they’re hundreds of times more reliable than my laptop. Still, there’s the potential for the unit to fail or have the light blocked by debris, or for you to fail to properly maintain the batteries. Standard sights on many carry guns involve a simple groove milled across the top of the gun and a ramp front sight at the front. Systems like this are snag-free, a benefit with carry guns that are often in close proximity with clothing. Considering the less high-tech methods of sighting a defensive handgun, there are compromises to be made. Good sights that are easy to see and maintain an excellent sight picture are always large. Large sights don’t generally work well on concealed carry guns because they increase the gun’s profile and increase the chance of snagging on clothing or carry devices. Small, easily concealed sights carry well, but are difficult to see in less-than-optimal light conditions. The most unobtrusive sight system for a small gun is a simple trench milled the length of the slide or topstrap. This is the prevailing system for small revolvers as a rear sight; it’s normally paired with a ramp front sight, and it works quite well. In my Concealed Carry Brushup classes, where all the shooting is done at ranges shorter than seven yards, I like to stop the class if a fly or bee lands on a target. I then use my personal carry gun to shoot the fly. If it’s less than five yards, I’m almost always successful. Even if I miss at seven yards, the shot is so close the impression remains. You can shoot very well with crude sights if you focus on the front sight and get good sight alignment. Unfortunately, sometimes point-of-aim and point-of-impact don’t agree, and there are few options when this happens with fixed sights. If a gun has fixed sights and doesn’t shoot where you point it, you have to decide if you’re willing to live with it, but remember; almost all concealed carry defense situations happen within seven yards. There are some excellent small revolvers with adjustable sights available, but they may not fit your requirements for concealability. There are-high visibility options on some small revolvers, and they have merit. The hi-vis options offer a gain in visibility, but often there’s a slight loss in concealability. Tritium sights actually glow in the dark, showing up in total darkness. In moderately low-light situations they have little advantage if any, over simple white outline sights. While I don’t like white outline or dot sights for competition, I like them for defense guns. Competition is generally done in good light, at targets with excellent contrast. Defensive situations rarely offer these luxuries. Bright white outlines show up in low light and can allow a better sight picture. For guns with dovetailed sight mounting, aftermarket options also include both fiber optic and tritium replacement sights at a very reasonable cost. Fiber optic sights gather light to increase sight visibility. Tritium sights contain a small amount of tritium. The electrons emitted by the radioactive decay of the tritium cause phosphor to glow, thus providing a long-lasting (several years) and non-battery-powered firearms sight that’s visible in dim lighting conditions. Under bright light, white outline, dot sights and fiber optic sights show brighter than tritium, but under very low light tritium has an advantage, even showing up in total darkness when white or fiber optic sights would be invisible. Of course, the other options that work really well in low light are laser sighting systems. My reaction when I first saw lasers was skepticism because I imagined they were a total replacement for standard sights. For life-and-death situations, I don’t like total dependence on anything that runs on a battery. I have since changed my mind. While responsible defensive firearms owners need to be able to shoot well with iron sights, a laser offers accurate shooting under the low light that most defensive confrontations involve. They also provide the possibility for accurate shot placement when the defender simply can’t align the sights with his eye because doing so gives the assailant too much access to the gun. Fiber optic high-visibility sights gather available light to catch the user’s eye. Unfortunately, they do little in really low light situations. A properly aligned laser can provide a greater level of accuracy than most shooters can muster otherwise. They’re reliable and operate automatically in many cases. There have been arguments that lasers expose the defender to the assailant, but in a very high percentage of defensive situations, the assailant already knows exactly where his victim is. Another argument is that the defender will learn to rely only on the laser and be confused if it fails to operate. While both are possibilities, the advantages of accurate shot placement under low light, or while the gun is kept close to the shooter, outweigh them. I teach my students to align the laser to shoot just below the point of impact and aim. This prevents them from seeing the laser in practice sessions, yet it’s still there if conditions are bad enough they can’t get proper sight alignment. I only carry guns equipped with laser grip sights. They are unobtrusive and have no effect on holsters and carry methods. I use the iron sights in practice and set the laser just under the front sight so I can’t see it in practice. In really low-light situations and in situations where light is low and the shot is rushed, there is nothing better than a laser. Laser alignment is simple, though the first time might be a bit tricky. After the laser is installed, and everything is correct and tight, focus on a perfect sight picture and move the laser beam to the point of aim at the desired distance. This can be done without shooting the gun, provided the gun shoots where it’s aimed. Then shoot the gun using the laser to confirm the zero. To check the alignment at any time, simply aim at a point on the target and see if the laser co-witnesses it. Another thing to remember with lasers is they normally have a substantial offset from the bore. Properly set, a laser sight on a pistol should intersect with the point of impact at about 25 yards. This will allow accurate shooting beyond that distance yet the difference in point of impact at closer ranges will barely be impacted. With good ammunition and a rest, a carry gun can shoot 3-inch groups at 25 yards using a laser in low light. In really low light or when there’s no room for an extended sight picture, nothing beats a laser. There are two primary ways lasers are mounted on handguns. Rail or frame mounts put the laser ahead of the trigger guard, and grip-mounted lasers attach to the gun either as replacement grip panels with the laser and activation button as a part of the grip, or as an over-the-grip unit that wraps around and mounts to polymer-framed integral-grip guns. When choosing either type, make sure the activation button is easy for you to access. I like the button on the front grip strap because activation is almost automatic, though I can consciously relax my middle finger if I want to leave it off. Rear-mounted activation can be problematic for smaller or thinner hands. Not only are we blessed with the right to own and carry a firearm in the United States, for the most part, we have the right to choose the firearm we buy and how to accessorize it. Ultimately, no one will argue that a better sight system isn’t an advantage in a defensive situation. A 27-shot capacity, major-caliber race gun, with a reflex sight would be much better in a gunfight than a small .380, 9mm or .38 Special. A good carbine would be even better, but a race gun or carbine is pretty hard to conceal. The trick is to look at the options, decide where you’re willing to trade off and go with what you like. My solution for sighting options on my carry guns is to train with iron sights and add a laser sight for low-light conditions. The laser adds little weight or bulk, yet it vastly improves my ability to put the projectile where I want under conditions that are less than desirable. I know in bright light and with adequate room, a traditional sight picture of iron sights is faster and more effective than a laser. I also know a laser is a much better sighting system in low light. I firmly believe you need to be able to shoot well with iron sights, but I’m a confirmed laser guy for carry guns. Editor’s Note: This article is an excerpt from Gun Digest Guide To Concealed Carry Handguns available at GunDigestStore.com. I’m waiting to see someone weigh in on the Meprolight Bullseye sight.